Casual piracy is an unfortunate problem in the href=”http://www.android.com/market/” rel=”homepage” target=”_blank” title=”Android Market”>Android Market, and it looks like it’s only growing with Android’s popularity. According to Paid Content, popular novels like the Harry Potter and href=”http://www.cwtv.com/shows/the-vampire-diaries” rel=”homepage” target=”_blank” title=”The Vampire Diaries”>Vampire Diaries, as well as titles from Stephen King and Patricia Cornwell. Google promptly removed the books after being alerted, but not before thousands of illicit copies were downloaded. The apps were free from a publisher calling itself “UKER”, and presumably hoped to make money off of advertising. 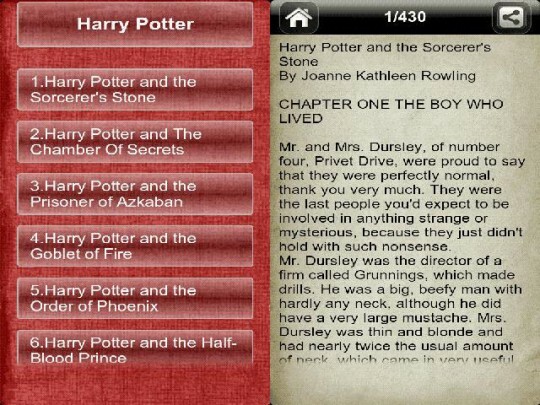 The apps in question included the full text of the popular novels, in an admittedly basic and barely functional reader UI. The stolen books aren’t the only piracy issue that href=”http://google.com/” rel=”homepage” target=”_blank” title=”Google”>Google’s had to face in the Market: ripped-off games, illegal music downloads (some of which are still available as “search tools”) and straight-up malware masquerading as popular apps have all appeared ,as the number of active Android users grows by the millions. The considerable number of security breaches is bringing Google’s more relaxed approach to app approvals into question. Therein lies the problem: one of Android’s greatest strengths is that almost anyone can develop an app and get it into the Market almost immediately. Look hard enough, and you’ll find test apps from students and developers just starting out on Android. But that also means that there’s a low barrier of entry to less scrupulous developers, who are intent on using ill-gotten IP for a quick cash infusion. Even a security turnaround of a couple of days is enough for their efforts to be worthwhile, if enough people download the app before Google catches wise. All this, and free, stolen versions of media undercuts Google’s legal sales in the Movies, Music and Books sections of the Market.